“Physically I’m very weak but spiritually and mentally I am strong,” says Nicodeme Ayao Habia, president of an opposition party in Togo on Friday — day 10 of his hunger strike. 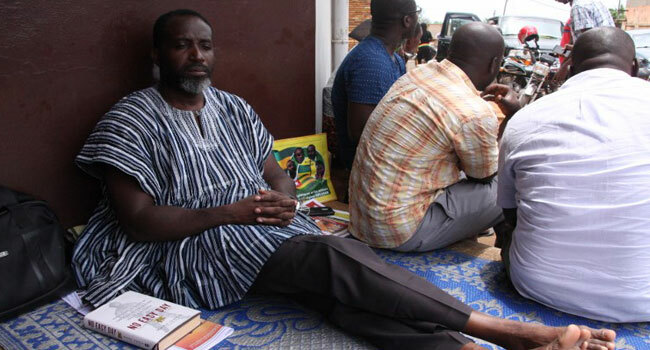 Habia lies on a mat in front of the Ghanaian embassy in Lome, where he is demanding the release of protesters who have been detained for months after demonstrating against the ruling regime. “Doctors come every day, I get seen by them. The rest is up to me. If I can make this sacrifice for change in my country, I should do it. “I don’t fear for my life, what’s important for me is the release of the prisoners,” he says. The West African bloc ECOWAS stepped in early this year to negotiate between Togo’s government and the opposition after months of protests with people calling for the resignation of President Faure Gnassingbe. The opposition parties had obtained the release of about 40 people arrested in connection with protests and 10 others were released in early September. But according to the leaders of the coalition of 14 opposition parties, there are still 44 people languishing in Togolese prisons who are yet to have their case heard in court. The minister of justice maintains that their situation will be examined on a case-by-case basis. “There are no members of my party who are still in jail but those who remain inside are still Togolese, innocent people suffering in our prisons,” said Habia. Habia knows what it’s like to be a political prisoner. He was arrested several times — in 1992 and 1994 — when Gnassingbe’s father was president and was “tortured for months by soldiers before being transferred to a prison in Lome”. Faure Gnassingbe has been in power since 2005 after succeeding his father, Gnassingbe Eyadema, who led the small West African country with an iron fist for 38 years. He has opposed changes to the constitution that would put a limit on presidential terms, sparking the nationwide uprising. 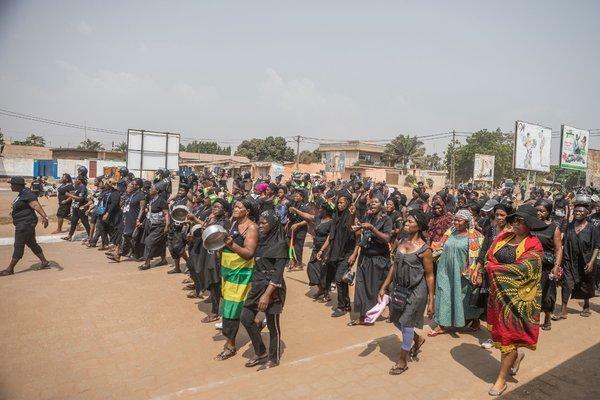 Along with the release of the protesters, Habia has demanded that the government comply with an ECOWAS-approved roadmap and “implement the reforms the Togolese have been demanding for years”, including capping the number of presidential terms. Not far from him are stacks of candles. “People come to put out candles every day,” said Achille Mensah, Habia’s spokesman. “They say they want to call on the spirit of the Ghanaian President Nana Akufo-Addo,” one of the two ECOWAS facilitators who helped mediate the crisis in Togo. On Friday morning a crowd of about 50 people, many of them young, gathered in front of the embassy to support Habia. “Some young people spend the night with him and early in the morning go home,” Mensah said, adding that Habia has already lost 15 kilograms (33 pounds), according to doctors. So far, Habia has refused to break his fast, only drinking water to stay alive. On Monday, he was visited by police. “When they arrived, they told me to get out quickly and knowing my rights, I resisted and turned back,” he said.